WhatsApp has had a pretty busy year, and we are not just talking about the fake news menace. Apart from taking several measures to curb the spread of fake news on its platform, WhatsApp has introduced a bunch of features on its platform recently — group video and voice calling, stickers support, and even payments option this year. We take a spin down memory lane to recap on all the new features WhatsApp has introduced in the past three months. This includes the new stickers rollout, Picture-in-Picture mode and Swipe to Reply for Android users, new notification extensions and the new Silent Mode as well. WhatsApp recently introduced a new feature called Private Reply with its beta version 2.18.355, and it essentially allows users to privately send messages to a participant in a group without letting others in the same group know. To use the WhatsApp Private Reply feature, hold the message of the sender to which you have to reply to privately. Further tap on the three-dotted menu on the top right corner of the app. Here, you will get the Private Reply option. Once you choose the option, the selected message will open privately in the chat window of the sender in the form of a reply thread. To use this feature, download the latest version of the Android beta app, after becoming a part of the official Google Play beta programme. Late last month, the instant messaging platform started rolling out stickers support for all Android and iPhone users. Apart from using the default stickers that WhatsApp offers, users can also download distinguished sticker packs directly from Google Play. Stickers are segregated into three categories - Clock, Star, and Heart. The clock section in the stickers tab takes you to your most recent stickers, the star icon takes you to your favourite stickers, and the heart icon will take you to categories like love, happy, sad, and dramatic. To learn more about the stickers feature, how it works, and how to send a sticker, read our detailed explanation here. With version 2.18.100 for iOS users, WhatsApp brought the ability to automatically play consecutive voice messages in a sequence, so users don't have to press play for each instance. The update, released in October, also brought support for the larger 6.5-inch display of the iPhone XS Max. This enabled WhatsApp to take advantage of the large display and take up the entire screen space allowing users to read more messages and view more media. WhatsApp for Android recently also introduced a new "Silent Mode" that hides the notification dots for muted chats. This means if you mute a chat on WhatsApp, you won't see how many new messages you've received in that chat directly from the WhatsApp icon on your Android smartphone. Previously, notifications from muted chats also counted towards the count of unread messages. It is said that the new feature is already enabled by default. However, it isn't available in the form of an option in the Settings menu so there's no way to disable the feature manually if you want to go back to the old behaviour. WhatsApp is also reportedly working on "Vacation Mode" that makes archived chats that have been muted, to remain archived when a new message arrives in those chats. At present, WhatsApp automatically unarchives an archived chat once a new message is received in that chat. This behaviour will apparently be controllable via the Notifications settings on WhatsApp for iPhone, Android, and Windows Phone. This feature was spotted by beta tracker WABetaInfo. WhatsApp is also reportedly working on a Linked Accounts feature that will let users link their account with external services. While the option appears to be mainly focused for WhatsApp Business users, it could also reach the standard WhatsApp version. It is said that the Linked Accounts option will be available under the Profile settings on WhatsApp and will initially support Instagram as an external service. You will need to insert your credentials once by tapping the Instagram listing from the Linked Accounts option. This will link your WhatsApp account to your Instagram profile. This feature was also spotted by tipster WABetaInfo. WhatsApp has recently also updated the rules for its 'Delete for Everyone' feature to make the experience better than before. WhatsApp has updated the "Recipient limit" to restrict deletion of a message if the recipient didn't receive its revoke request within 13 hours, eight minutes, and 16 seconds due to any reason, even if the phone was inactive. This means if you try to delete a message that you sent to your contact by using the Delete for Everyone feature on WhatsApp, it will only be deleted if the recipient receives the revoke request within 13 hours, eight minutes, and 16 seconds. Notably, you can delete a WhatsApp message for everyone within the previous limit of over one hour, though the recipient needs to receive the revoke request by opening the chat containing the message within the newly designed limit. This new change was reportedly a server-side update. After introducing it to iOS users earlier this year, WhatsApp finally rolled out picture-in-picture video feature for Android users in October. It arrived for Android users with beta version 2.18.301, allowing them to watch Instagram, Facebook, and YouTube videos in a small window within the messaging app itself. It essentially means users will not need to go to Instagram or YouTube or Facebook apps to view a video sent by a contact. With PiP support, Android users will be able to tap on a YouTube link and open up the YouTube video in the app itself. It will allow the user to view the video and continue to navigate around WhatsApp, in different chats, simultaneously. Just like the PiP mode, the 'Swipe to Reply' feature also arrived for iPhone users much earlier than it did for Android users. WhatsApp for Android users got the feature last month, and it is designed to let you quickly reply to your messages on the instant messaging app. WhatsApp users can now use the simple swipe gesture to quickly respond to a message. All you need to do is to swipe any individual message to the right to reply to that message on WhatsApp. The message will be quoted just above the text box to help you easily referred to it alongside your reply. Previously, you need to tap and hold on the particular message and then press the reply option from the top bar to respond to a message. The new gesture support makes the experience faster as it helps you quickly respond to a message from an available thread. Also, it is useful especially if you are replying to a message in a WhatsApp group. WhatsApp is also testing support for MessagingStyle inline images for the notification panel. WhatsApp used to show inline images in notifications earlier as well, but it looks to now support the new MessagingStyle notification format for expandable and collapsible inline images in the future. This feature, spotted in beta, works only on a device running Android 9 Pie, and it will allow the WhatsApp image notification to expand and collapse to show the picture's preview. The rest of text messages will show up as they used to above and below the image preview. This doesn't work for GIFs and videos, and they still show up in a small icon notifying the user that they've received it, but those won't be collapsible or expandable for preview. When an image is shared in a WhatsApp group, the photo still expands for preview, but when collapsed it shifts to the right, with the group icon sitting next to it. WhatsApp also expanded its portfolio by rolling out through the JioStore for Jio Phone users. The app support for Jio Phone users arrived in September, and it claims to have end-to-end encryption as well. The app also lets users record and send voice messages. Users can also hold conversations in groups. However, it doesn't allow users to directly make voice and video calls. The app also doesn't allow users to make payments - one of the key features that recently came on Android and iPhone devices. In September, WhatsApp introduced a new search option for the Status tab. With the new Status search feature, WhatsApp for iPhone users can search specific contacts and their status updates directly in the Status tab. If your status timeline has a lot of contacts who post updates, you will now be able to find specific status updates with the new quick access feature. WhatsApp for iPhone version 2.18.90 also introduced a notification extension feature that lets users view images and GIFs right from the notification panel. When receiving images or GIFs, you will have to use 3D Touch or swipe left on the notification and tap "View" to preview the media from within the notification. Notably, this feature is only available on iPhone models with iOS 10 or higher. The same update also added a Suspicious Link feature for iPhone users. This feature essentially tags a 'Suspicious Link' whenever a contact sends one to you. This update is expected to warn unknowing users of a suspicious link before they open it. WhatsApp will also reportedly alert the user once again by looking for unusual characters if they try to open the link. In late August, WhatsApp updated its FAQ page to announce that backups will no longer count towards the Google Drive storage quota starting November 12. This helps Android users to use the available Google Drive space to store important files and data other than the regular WhatsApp data. While there isn't any restriction on the Google Drive front, to back up your WhatsApp data, you still need to fulfil the minimum requirements that include a Google account activated on your phone along with Google Play services. The handset also needs to have enough free space to create the Google Drive backup. It is worth pointing out here that media and messages you back up on Google Drive aren't protected by WhatsApp's end-to-end encryption, though they are protected by Google's encryption. WhatsApp also revamped the layout of Report feature that is available for both individual and group chats. As part of this revamp, a new alert box now appears that prompts the user to block the individual contact or exit a particular group - apart from deleting messages in the conversation. With the update, you will now be able to retain the chat history for these reported groups and chats, which was not previously possible. To access the new Report feature, go into the group or individual chat that you wish to report. 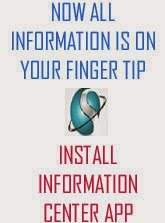 In the case of individuals, Click on the three dots menu and select View contact. Scroll down and click on Report. In groups on WhatsApp, click on the three-dotted menu on the top right, click on View group info, and select Report. This new feature was spotted in Android beta in August. In a bid to curb the spread of fake news, WhatsApp also introduced a forward message limit especially for Indian users. It introduced a forward chat limit to five chats for over 200 million users in India. Globally, the company allows users to forward messages for up to 20 chats (either individuals or groups). At the time of the announcement, WhatsApp said that with new changes, which it will continue to evaluate, "will help keep WhatsApp the way it was designed to be: a private messaging app". The social app recently also announced two new developments for its WhatsApp for Business app. Firstly, the Facebook-owned company is opening up the WhatsApp Business API for more businesses, with an aim to reach potential customers at scale. Companies can use this API to send customised notifications with relevant, non-promotional content such as shipping confirmations, appointment reminders, event tickets and more. These messages will be chargeable at a fixed rate; and the charges would be between half a penny to 9 cents (about 34 paisa to Rs. 6.18) per message, depending on country. The API can also be used to reply to customers for free - however, businesses will have to pay to reply to messages after 24 hours of receiving the last customer response. Secondly, Facebook ads also got a new click to WhatsApp shortcut to connect advertisers with users - however, this feature will initially not be available in India. Lastly but importantly, WhatsApp group video and voice calling also went official for Android and iPhone users. The feature was in testing for over a month and does as the name suggests - but the number of people supported in a group calls is limited to just four. This new group calling feature is something that allowing users to come together and conduct VoIP calls, making it especially convenient considering the platform is so widely used in India.